This set up seemed to work for us initially, but we found that when using a php redirect on our application server, it breaks. For some reason nginx doesn't handle the redirect correctly when a redirect request comes in and nginx responds with the 502 bad gateway. Any thoughts appreciated. Thanks. How are you setting the cookies? In this example I configured an nginx to set the cookies, but some applications delete that cookie from the session and cause missbehaviours. I would need some more information on the nginx configuration and how the cookies are being sent. You can contact me at g+. Tried sending you a couple posts on g+. Not sure I have a handle on how g+ works, sorry. lines in the site1.conf were me playing with it trying to get it to work, those lines may not be needed. I've received your messages at g+, but anyway I'll post here :). I meant the cookie used by the balancer: in your case 'cachestat'. Anyway you are inserting a Location header to implement a redirect but are you returning a 301 or 302 HTTP code? Yes, cachestat is being set in our php app code on the apache backend webs. In our header function above, we aren't explicitly setting 301 or 302 ... I assume the default is a 302 based on the php docs. Well, I don't know how does php work but you should to ensure that your application is sending the HTTP redirection codes. Does a php header redirect work with your setup? It should work but I haven't tested it. do you know any way to implement HA with this approach? because if one instance fall down, the client does not be routed to another. Take a look at @rrfallback. 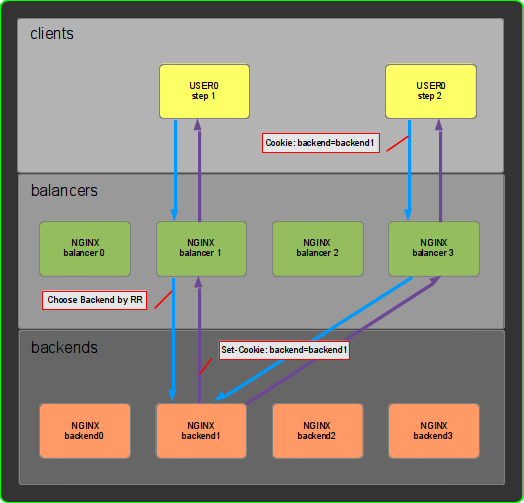 If one upstream server falls nginx, instead of return a 502 error to the client, will choose another upstream using round robin, so the client will be routed to another application server. have you ever tried sticky module with https connections? Is possible to to that? I hadn't tried with https connections but I don't see why it shouldn't work. Only to point out that you'll have to use the backend certificates on the balancers so the users negotiate the SSL connection with the balancers properly. Hi Harry, I answered you weeks ago in a direct message to your g+ account, just in case you didn't noticed. BTW, nice idea with the page, it will be very useful for sure! 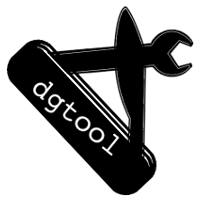 If your upstream servers use hostnames instead of IP addresses, you must use the `resolver` directive in your server block. Otherwise, Nginx does not know how to turn the hostname string contained in the variable into an address. Yes, that is right. Thanks a lot for taking the time to post this in a comment. Hello. I think, you can use "rrbackend" as default, so you don't need trick with 502. Hey, that is interesting. Have you tried that? Great post Diego. Default nginx cookie stickiness comes only with the commercial subscription. Yup, very annoyed that it comes only with the commercial nginx plus. 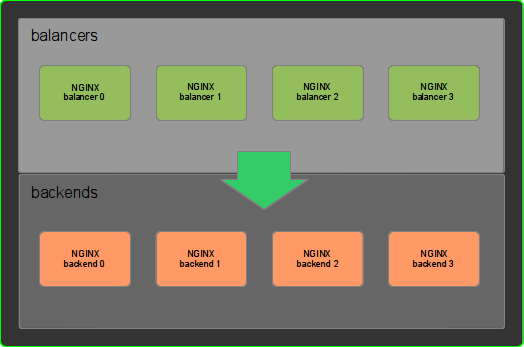 It seems like regular nginx barely offers any solution for production load balancing: http://nginx.com/products/feature-matrix/ Either way, great post! It was nice to read about the resolver post too. Thanks! I really appreciate you guys bothering to post a comment just to say thank you. That makes my day :D, thanks a lot! 1) I have non browser based RESTFul services(coming from another proxy server). So will cookie setting in nginx for backend server work for non browser based requests too? 2) Which version of nginx open source will support this setting? Any version restrictions? Another possible improvement is to add least_conn to rrbackend so nginx will be able to choose least connected backend. Also connection timeout may be required.